Today marks one year since I started this blog. 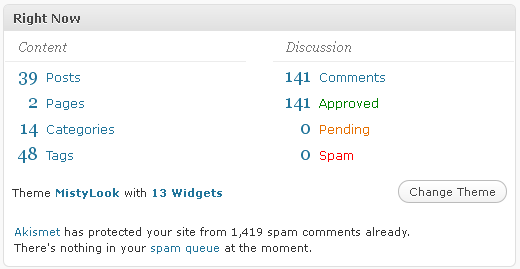 In that time I have written 39 posts and received 141 comments. That’s not too bad, though I think I should aim for one post per week for the next year. I have also had just over 12,000 page views in the year. Thanks to everyone who visited my blog and especially to those who left a comment!